The calendar says April, the daffodils and tulips are popping up, and I'm making Christmas cards! 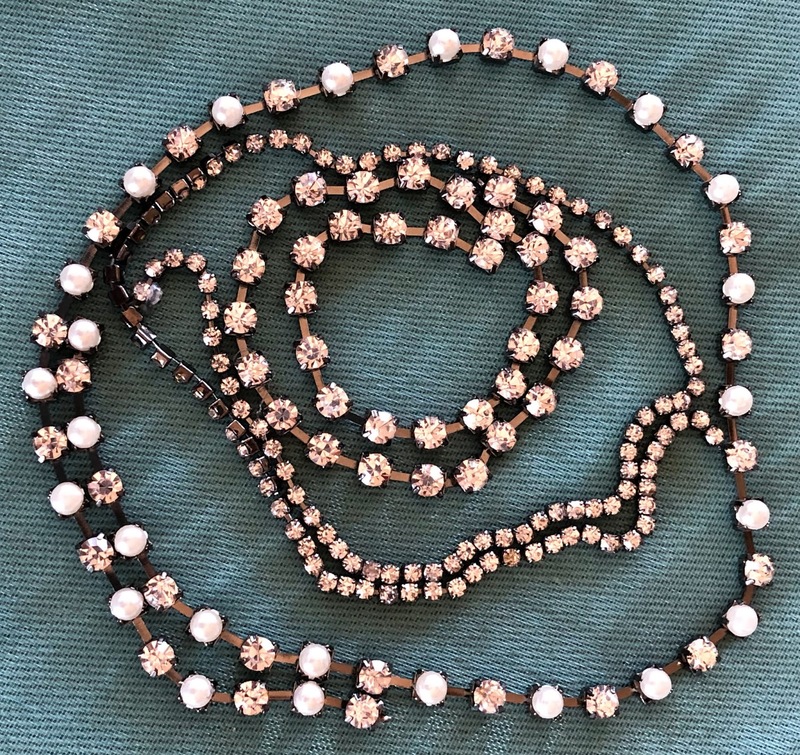 However, when you are trying to accumulate things to sell at a Christmas market, you have to start holiday creations early in the year. 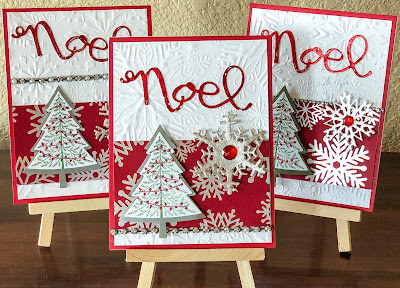 This Noel card will be the next tutorial for our Glory Crafters at church. Our cards are then sold at our Christmas bazaar to raise money for charity. 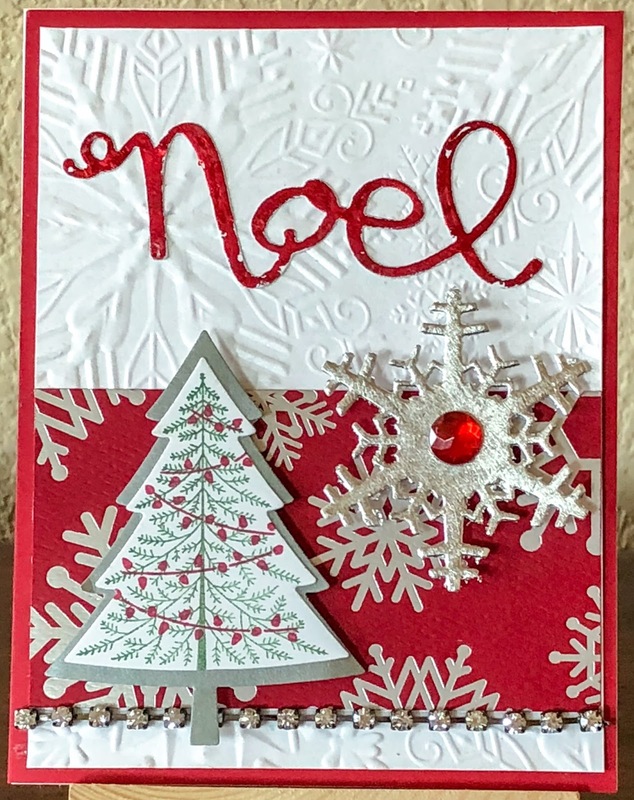 Use the Stick It Adhesive Sheets with the dies to cut out the word Noel and the snowflakes. You can click here for a video tutorial on how to use these wonderful adhesive sheets! 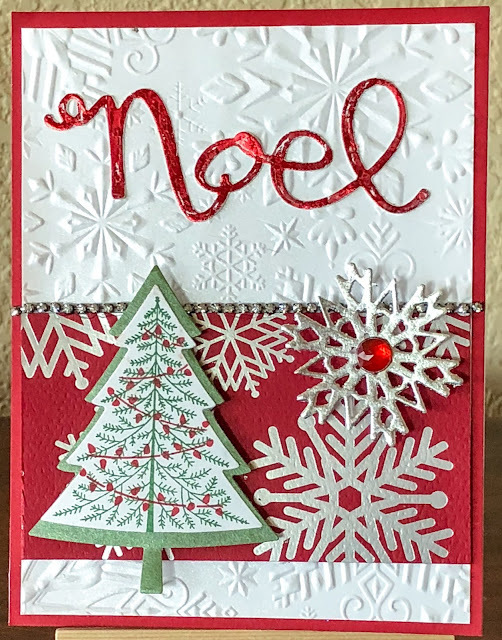 Once you peel off the top layer of the Stick It Sheet, you can adhere the red foil to die-cut, "Noel," and the silver foil to the snowflake. To see how to add gold or silver leaf, you can watch my "How to Gild" tutorial video, which I featured in an earlier post about butterfly tags. 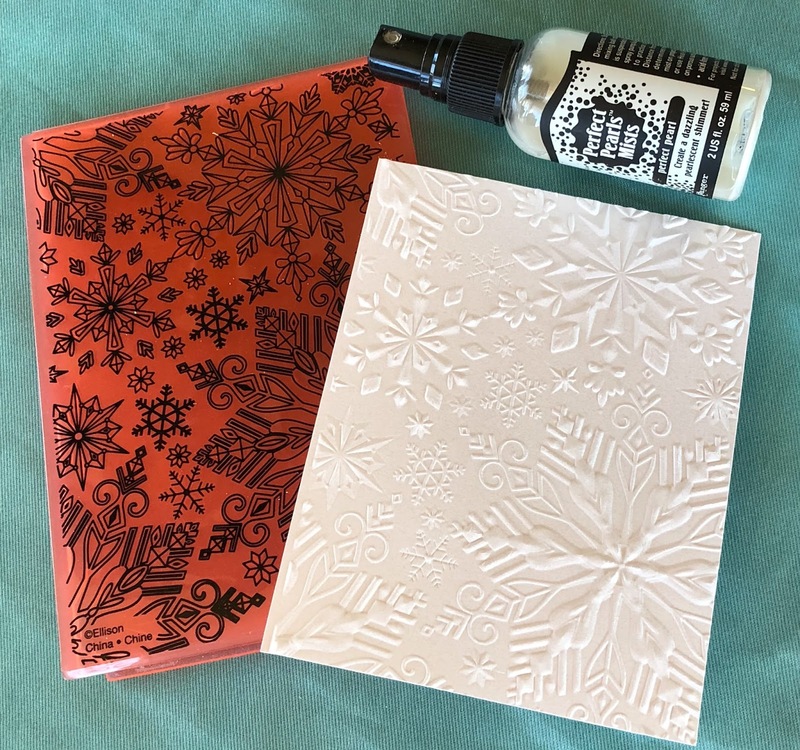 Run the 4 x 5 1/4 inch white cardstock through the embossing folder. 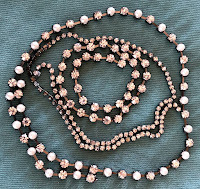 Spray it lightly with the Perfect Pearl Mist. Let dry. Stick the red cardstock onto the folded white card base. 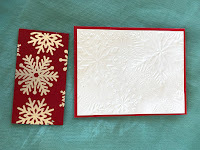 Then adhere the embossed white card piece onto the red cardstock. 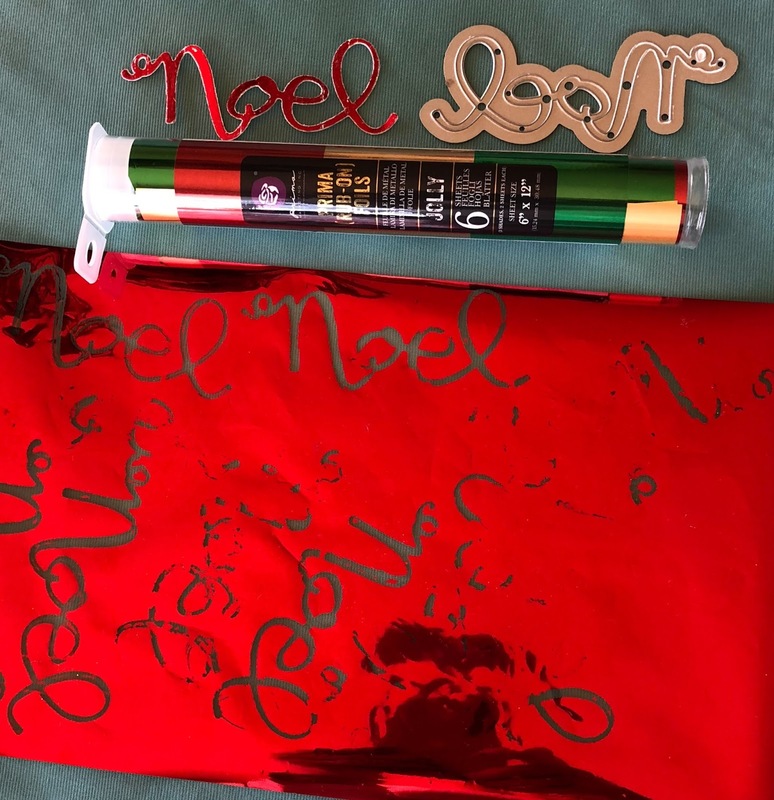 Stick the red-foiled word, Noel, onto the top section of the card. 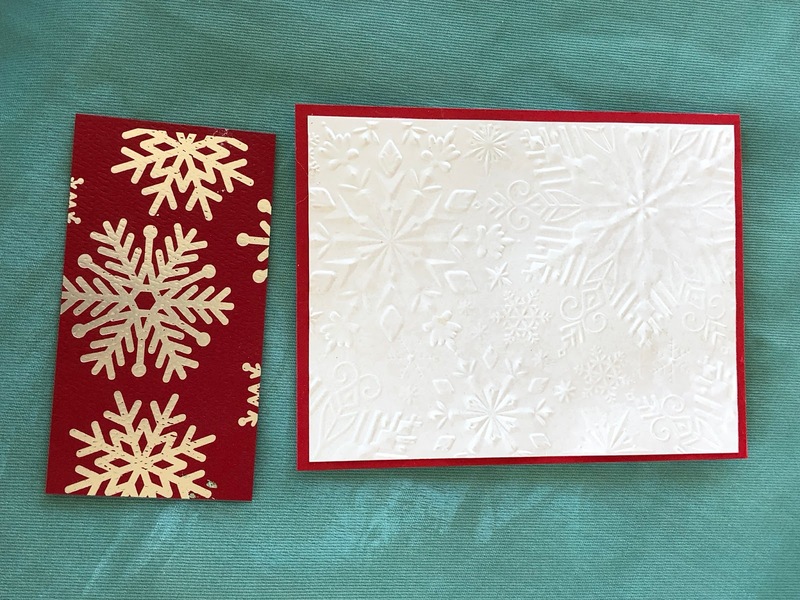 Adhere the strip of 4 x 2 1/4 inch snowflake designer red/silver cardstock onto the card. Of course, you can use whatever colored cardstock you prefer or have at hand. Cut a strand of the rhinestone chain to 4 inches and then glue it onto the card. 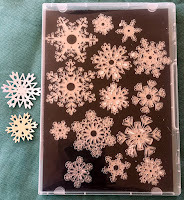 Glue the red rhinestone onto the silver snowflake. Allow to dry. Use a stamping platform and the Stampin' Up! 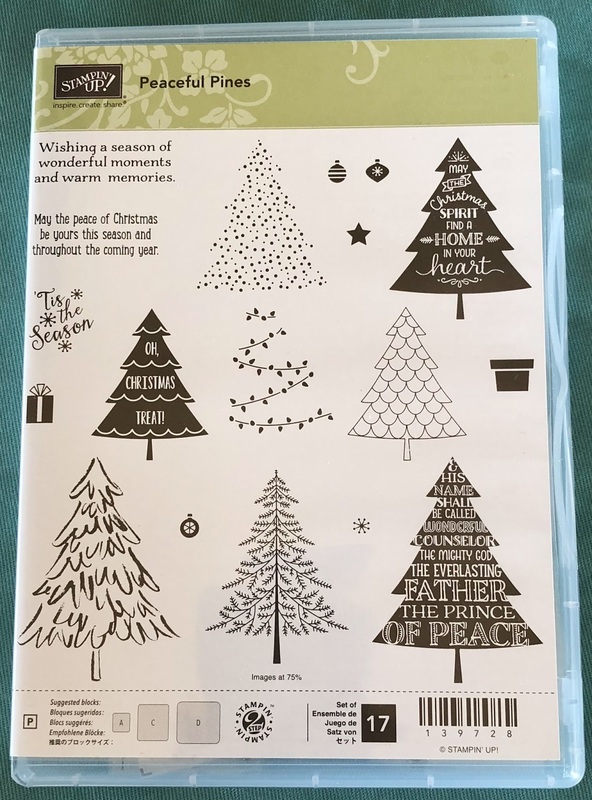 Peaceful Pines set to make the colored Christmas tree. 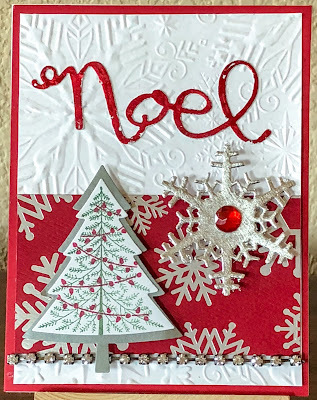 I used the SU Garden Green ink pad for the tree and SU Real Red for the light strands with this two-step stamp. 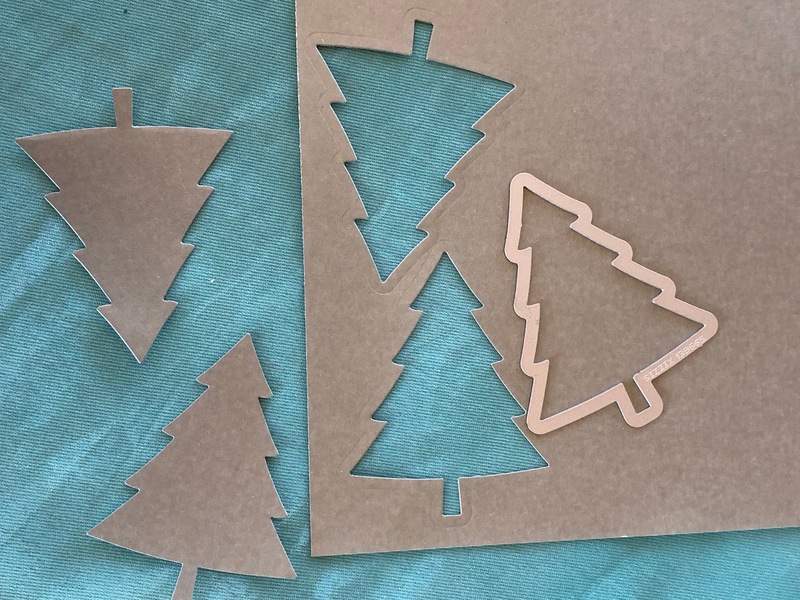 Select the appropriate-sized Perfect Pines die to cut out your colored tree. 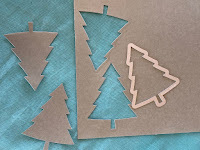 Create a background for this little tree by using the larger-sized Perfect Pine die and cut out a silver tree. Glue it to the back of your stamped and colored pine. Use pop-up adhesive to place the tree and snowflake onto the card. I've been playing around with this Prima Marketing IOD Art Decor mould, and I really love it! So much that I've ordered two more moulds, which should arrive this week. If you love making mixed media art pieces, these moulds provide an economical solution to sourcing embellishments. I used very cheap air-drying clay, which wanted to crack. Although, my second attempt at moulding had no breaking of pieces. I've since ordered Prima's special paper clay (also an inexpensive option) to see if it gives me a little more flexibility. Once dry, you can apply acrylic, gesso, sprays, mica paints or lots of other mixed media products. 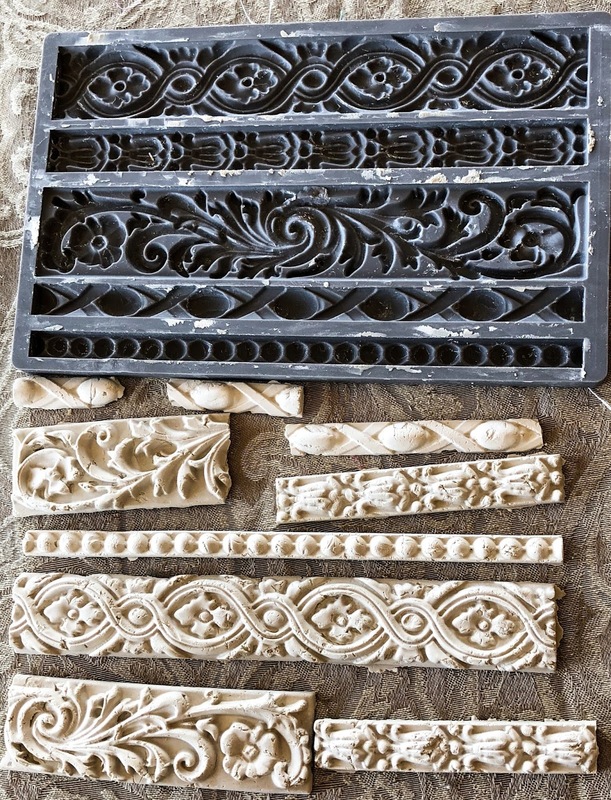 These moulds are food safe, too, for those of you who prefer chocolate to clay. LOL!